THPBlog: Green Diamond Resource Company to clearcut log trees up to 60” dbh near Redwood National Park. 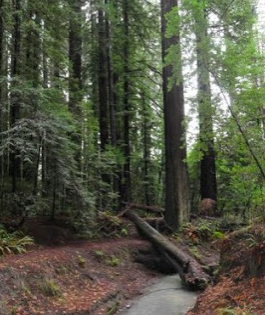 Green Diamond Resource Company to clearcut log trees up to 60” dbh near Redwood National Park. This THP is about 10 miles NE of Trinidad, CA and about 5 miles south of Orick, CA by Big Lagoon and Redwood National Park (units A, B and F are adjacent) at an elevation of 440 to 1,720 feet. Green Diamond Resource Company is planning a mostly clearcut tractor and cable logging operation in redwood, Douglas fir, Sitka spruce, grand fir and western hemlock forests. Eight road drainage sites are planned for work including rocking, dip construction, ditch cleaning and culvert repair/replacement. There are 3 osprey nests within the THP area including; an osprey nest within .25 miles of the LP Mill Road, an osprey nest within .25 miles of the BL 1300 Road, and an osprey nest within .25 miles of unit E and the BL 1300 Road. Potential marbled murrelet habitat is located on Humboldt Redwoods State Park lands within .25 miles of the LP Mill Road. Spotted owl nesting territories are located within .25 miles of units C and D, and within .5 miles of units A, B and F.